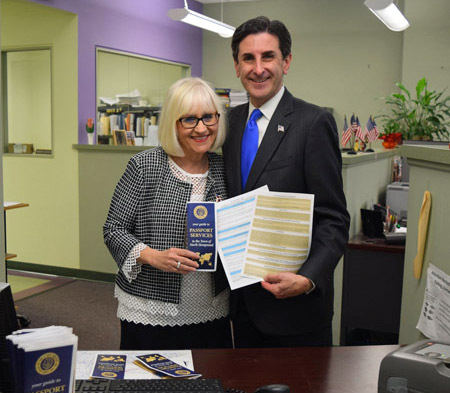 Town of North Hempstead Supervisor Judi Bosworth and Town Clerk Wayne Wink are proud to hold a mobile passport processing event for residents on April 16 from 5 p.m. to 8 p.m. at the Great Neck Public Library. Registration is required. At this mobile hours event applicants will be able to process a new passport or renew an existing passport. Applicants must bring two forms of government issued identification, a 2×2-inch photo well as fill out the application which can be found at: travel.state.gov/content/passports/en/passports.html or picked up in the Town Clerk’s office. The town will be able to also take photos on site for a fee of $10. This service is open to both residents and non-residents. Appointments are required and walk-ins will not be accepted. Passport processing at the mobile hours and at the Town Clerk’s office is by appointment only. To make an appointment, please call 311 or 516-869-6311.